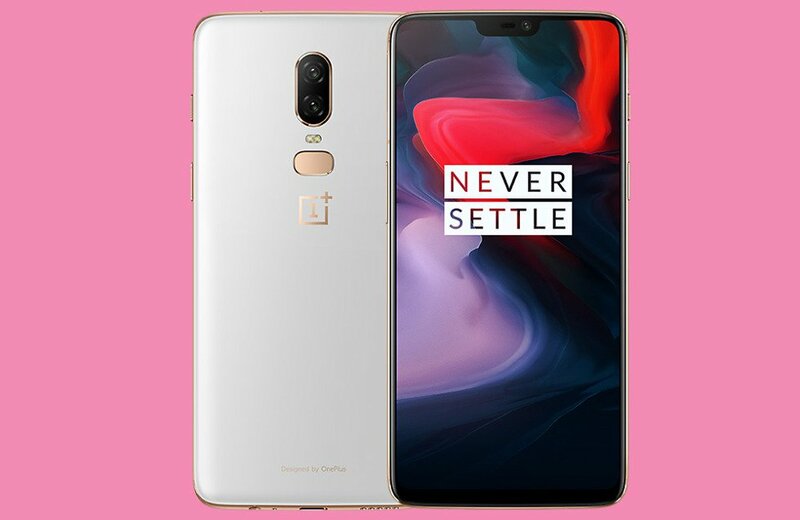 After weeks of official teasers and unofficial leaks, OnePlus has finally unveiled their latest flagship, the OnePlus 6. 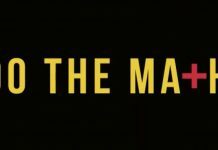 The big moment took place in London on May 16 with founder Carl Pei taking the stage. 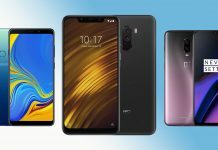 The OnePlus 6 is set to follow in the footsteps of other OnePlus devices: a moderately priced handset that’s expected to have a lot of the core features you see in the world’s most expensive phones, like the Galaxy S9 and the Huawei P20 Pro. 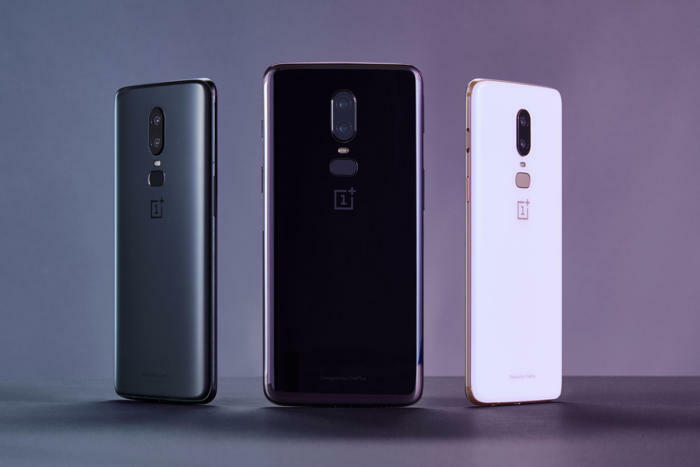 OnePlus 6 sports an all-glass design for the first time – the company’s handsets have previously used materials like sandstone, ceramic, and metal. 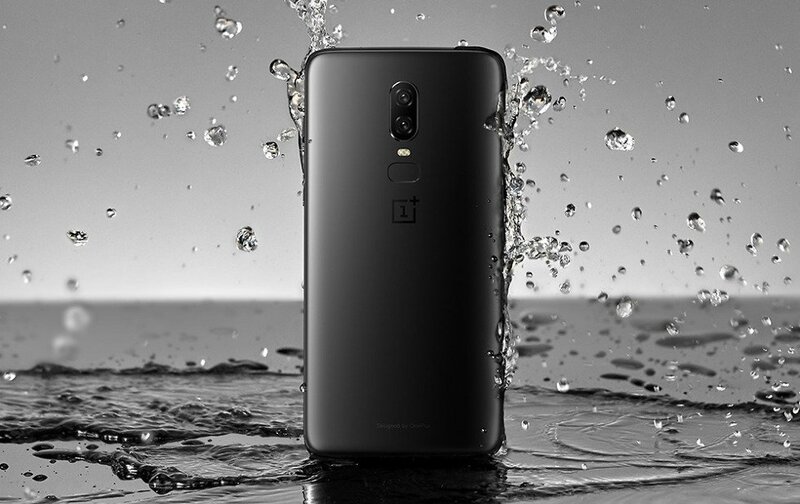 Carl Pei, the CEO of OnePlus, says that the glass back option is “just as resilient as any of our other previous phones” thanks to the Gorilla Glass 5 protection. The Midnight Black version is made of glass but features a matte finish. The phone also comes in a Silk White color option which will be released in a few weeks as a limited edition handset. The smartphone has a 6.28-inch Full-HD+ Optic AMOLED display of 1080x2280p resolution with pixel density of 402ppi. 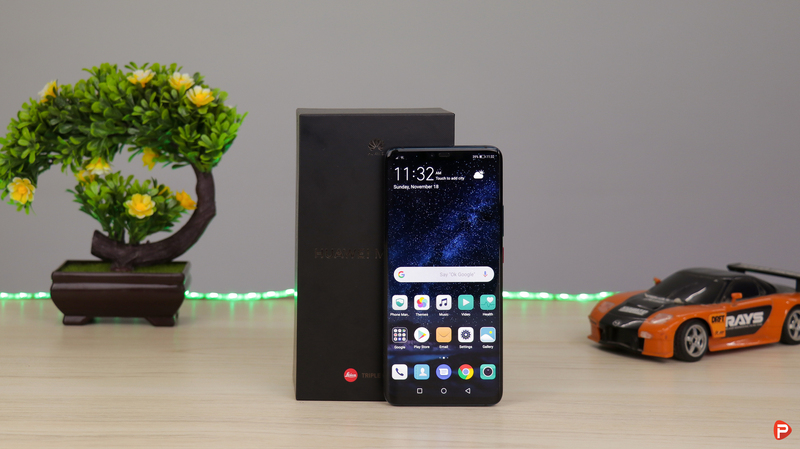 The 19:9 aspect ratio display with a notch, inspired by the iPhone X, fits the new trend which looks appealing while watching movies and playing games. You can hide the notch, by filling up the area with a black bar, blending it into the background, all thanks to the AMOLED panel. The front, as well as the back panel of the phone, has Corning Gorilla Glass 5 protection. The Alert-Slider has moved to the right and the volume rockers have moved to the left, just below the SIM card tray. The phone does sport a dual sim slot but still lacks a micro-sd card support. OnePlus 6 is powered by the Qualcomm SDM845 Snapdragon 845 octa-core SoC and retains the 3.5mm audio jack. The device will come with either 6GB or 8GB of RAM options and up to 256GB of onboard storage. There’s a vertically-aligned dual rear camera setup, with a 16-megapixel primary sensor with OIS and a 20-megapixel secondary sensor. Both rear cameras have a f/1.7 aperture. The sensors are made by Sony and feature both OIS and EIS. On the front, the phone has a 16-megapixel selfie camera with EIS support. OnePlus has increased the size of the 16MP sensor by 19% compared to 5T, allowing more light in, and reducing the level of noise in low light shots. 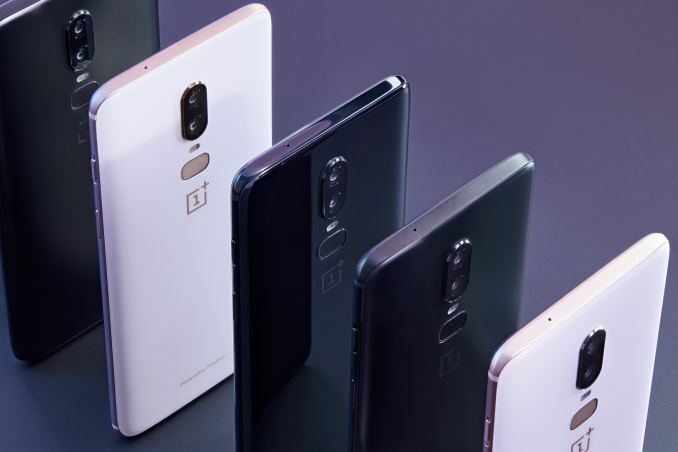 The OnePlus 6 cameras also have received a few upgrades such as improved lowlight performance, better Portrait Mode effects (including on the front camera), slow-mo videos, and a video editor feature. 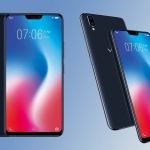 The handset also features Dash Charge, giving the OnePlus 6 ‘a day’s power in half an hour.’ The battery size remains the same as the OnePlus 5 and 5T though, at 3,300mAh. 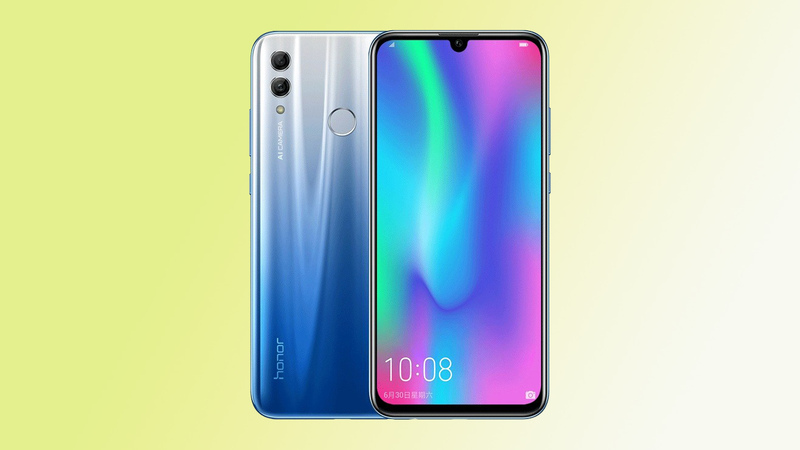 The phone also features software simulated face unlock and a rear-mounted fingerprint scanner for security. The phone is 7.75mm thick and weighs just 177 grams. 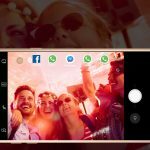 The Android 8.1 Oreo-based smartphone has a more optimized custom UI, OxygenOS. The phone will also get Android P Beta for users to side-load starting from the release date. 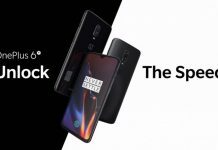 The OnePlus 6 release date for the Midnight Black and Mirror Black variants is May 22, while the Silk White option will hit the market on June 5. As for the pricing, the 6GB variant with 64GB of storage is priced at $529. While the 8GB variant with 128GB and 256GB of storage options are priced at $579 and $629 respectively. However, there is no official information regarding the availability of the phone in Nepal. But there is no doubt that the device will eventually make its way to Nepal. What are your thoughts about the new generation of OnePlus flagship? Will it be the flagship killer again? Let us know in the comment section down below. For more news on the OnePlus 6, like our Facebook page and subscribe to our Youtube channel.